A series of comedy clippings from various movies to begin the day with a joyful mind. 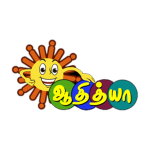 Adithya Live is a 24-hour comedy channel from the Sun TV Network in India. The channel also plays Telugu music from Tollywood. The songs are in large part played by audience request. Watch Adithya Live with High Quality On YuppTV.